The new PIQET is coming! Over the past decade, PIQET has provided the consumer goods industry with credible, independent and affordable access to life cycle information to evaluate the environmental impacts of packaging. What has set PIQET apart from other tools is the combination of the most relevant and reputable data and methodology with a simple but comprehensive interface to undertaken environmental assessment. With the change in ownership of PIQET to lifecycles in April 2016 - a leading provider of tools and data - we are planning to take this parsimonious approach to a new level. Outreach with our existing and potential clients via a survey, meetings and industry events to understand what works and what doesn’t with the existing version of PIQET, and how we could expand the tool to be more useful. Some of the results of this process can be seen here. 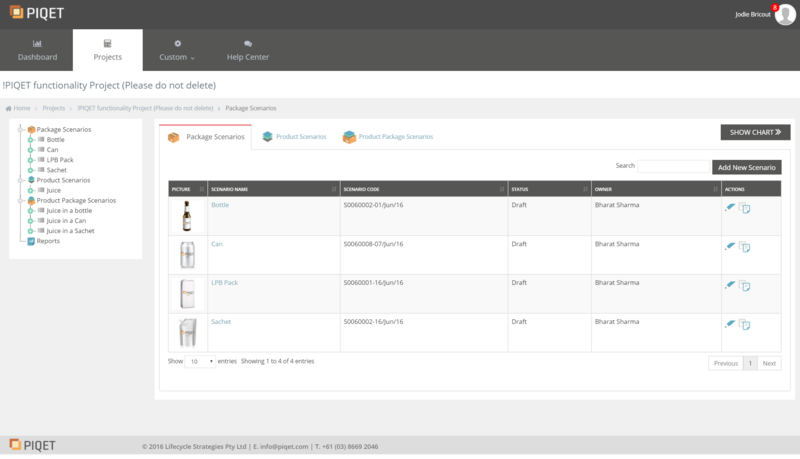 Developed a completely new interface for PIQET to greatly enhance the user experience of the current tool, and make it easier to engage team members in packaging assessments. 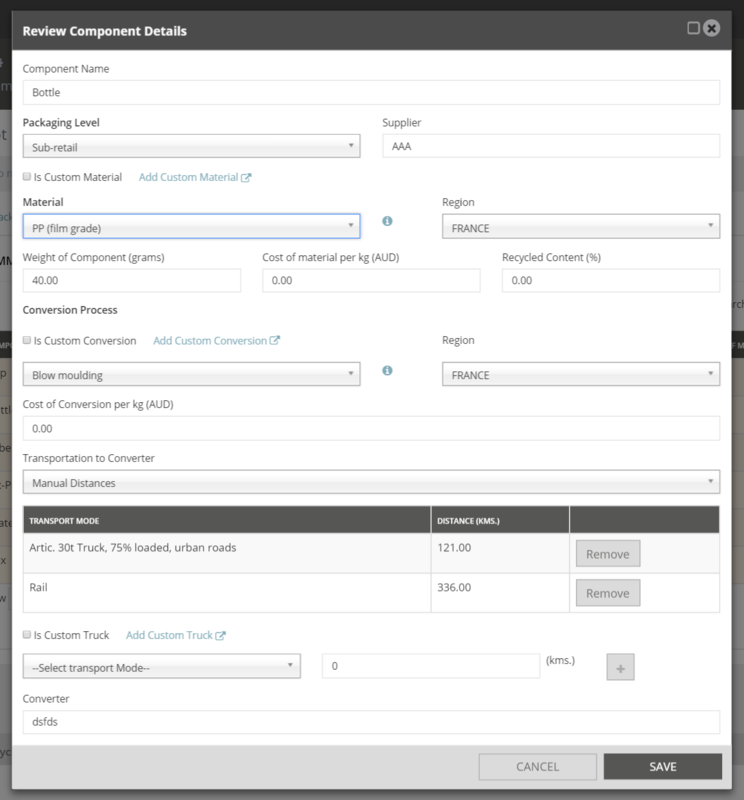 > Interface improvement: Inside the user interface we are implementing innovations to simplify the was package information in entered, while providing more comprehensive mapping of the life cycle of packaging and the products they contain. > Reporting: To help you engage your teams in decision makers with your results, we are providing many more reporting options. Multiple graph options allow you to slice and dice results on the run, and you can build your own reports according to what you need to show. Exporting to word and excel files will enable you to manipulate final results quicker to fit in with your internal reporting requirements. > Product waste: Whilst optimising the environmental impact of packaging systems is essential, there is consensus that in many cases, wastage of the product contained in that packaging can cause far greater impacts. The United Nations Sustainable Development Goals refers specifically to the one third of all food produced that ends up as waste for example. In response to these developments we are expanding the scope of what PIQET assesses to include product waste from all products at all points in the supply chain. > Regionalisation and region filter: Increased regionalisation of data makes for more accurate assessment of your global supply chains. To ensure that this doesn’t make the modelling process more complex, simple region filters have also been incorporated. > Beyond single packaging options: We are also expanding from a package v package analysis to comparing ranges of packaging against each other. This will enable users to compare new lines of packaging against the previous line across different formats. 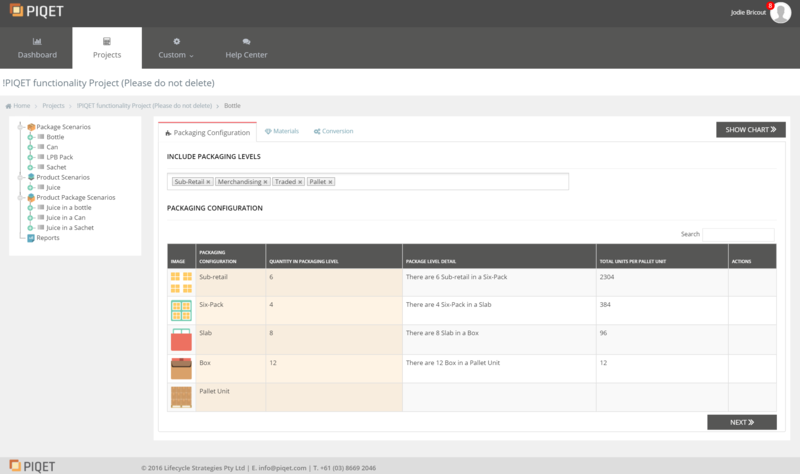 This feature will allow companies to report on total packaging portfolios at different levels and for different timeframes. Beta-testing PIQET 4.0: By the end of August we will be inviting some users to get a sneak peak of the new PIQET, to help us polish it up. IF you would like to take part in this, let us know. If you are not a current user, we will set you up a temporary account. Introducing our global partners: We are currently formalising relationships with strategic partners in key regions to provide extra support for PIQET customers. We will start introducing you to them in September. Rolling out with existing clients: From October 2016, clients will be able to chose when to make the switch so that it is convenient for them, and so there is no disruption to ongoing projects. 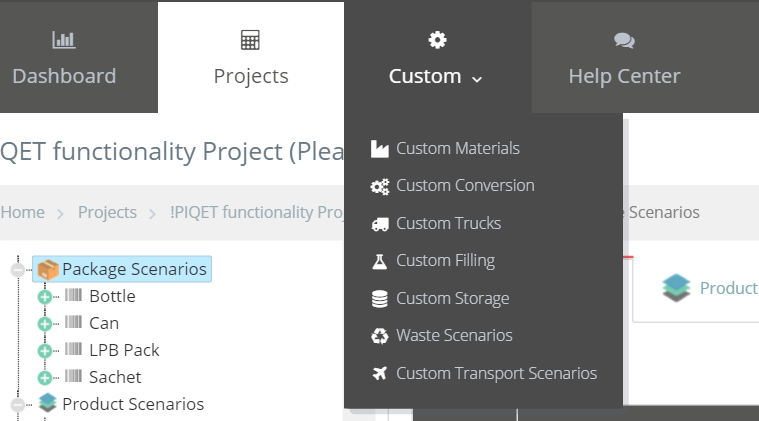 The PIQET team will step them through the process, transferring all existing projects to the new tool and providing extra support to get you used to the new and improved interface. Global PIQET 4.0 launch: Tim will be in the UK 12-14 October to launch the new PIQET. More information on events will come soon. 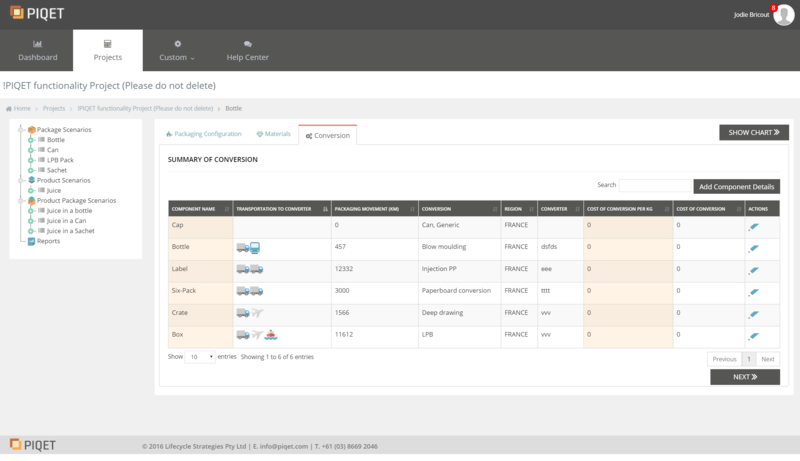 Contact us for more information on PIQET 4.0- or to beta test it!